The shop will be closed Thursday, Oct 22 for Jazz for Water and will reopen on Friday. This entry was posted in fishing report on October 21, 2015 by Theaux Le Gardeur. The Gunpowder is clear and is flowing at 92 CFs and is 52.7 F. Small caddis and soft chuckles are working fine along the river. Water temps are keeping fish active and the leaves have not been a problem yet. The River is clear and everyone is wholly distracted with football. Now could be a great time to try your luck with a wild fish or two and catch the leaves at their peak. 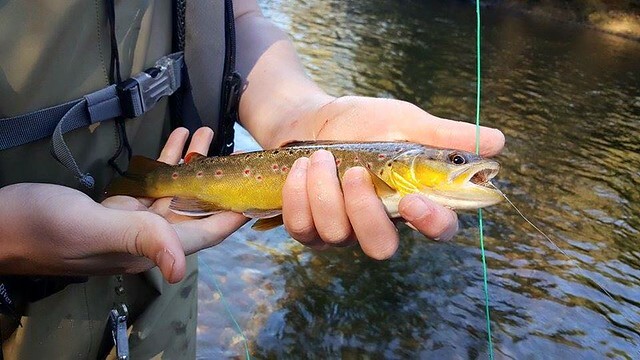 Thnaks to Taylor for the stream report and photo. Thank you for the update. It really helped and we caught some nice fish. Had a lot fish on caddis during mid-day/ early afternoon. This entry was posted in fishing report on October 15, 2015 by Theaux Le Gardeur. 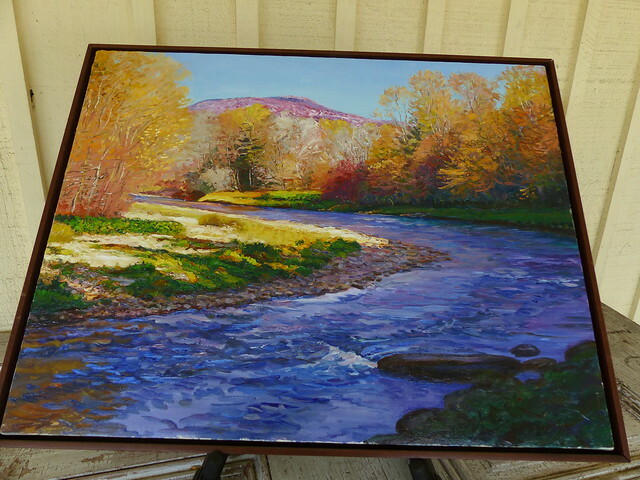 This oil painting, a generous gift of the Ann McInTosh estate, will be a featured silent auction item at Gunpowder RIVERKEEPER’s Jazz for Water annual fundraiser. Tickets on sale and sponsorship opportunities available at Eventbrite through October 15-NO DOOR SALES!. 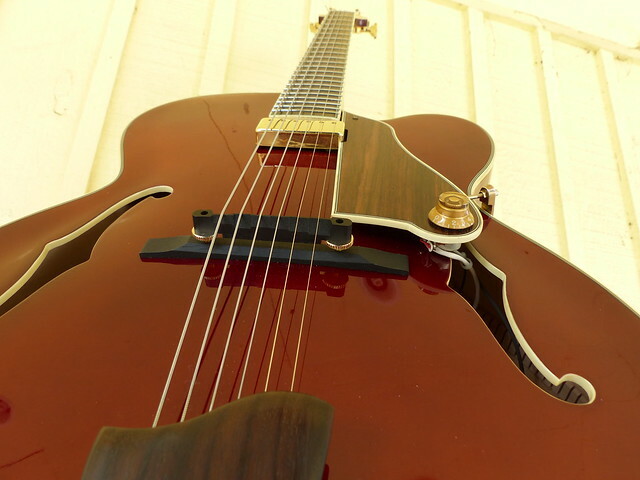 Thanks to Jim Ritz from Music Go Round Cockeysville for the thoughtful donation of a beautiful Jazz Guitar-also a silent auction item at the Jazz for Water event. We’ll see everyone there! This entry was posted in news on October 9, 2015 by Theaux Le Gardeur. Please join us for a fly fishing school. On Sunday, October 11th, a Backwater Angler Guide will be teaching a fly fishing school that is ideal for beginners. If you’re planning on fly fishing in Maryland, or anywhere else for that matter, this course is a great introduction to the sport. The school covers knots, casting, gear and fly selection. Class is held from 10:00 AM till 1:00 PM. Cost is $125 per person and includes the use of gear. A Maryland non-tidal fishing license and trout stamp is required and may be purchased at the shop with check or cash the day of the school. Class size is limited to 4 and pre-registration is required. Please give us a call at 410-357-9557 to pre-register. This entry was posted in events on October 7, 2015 by Theaux Le Gardeur. The Gunpowder River is flowing at 134 Cfs and is 55 F. Blue winged Olivesand just a few Tricos are part of the mix in the flat water. Long leaders in the 10 to 12 ft range ending in 7x will result in more takes. 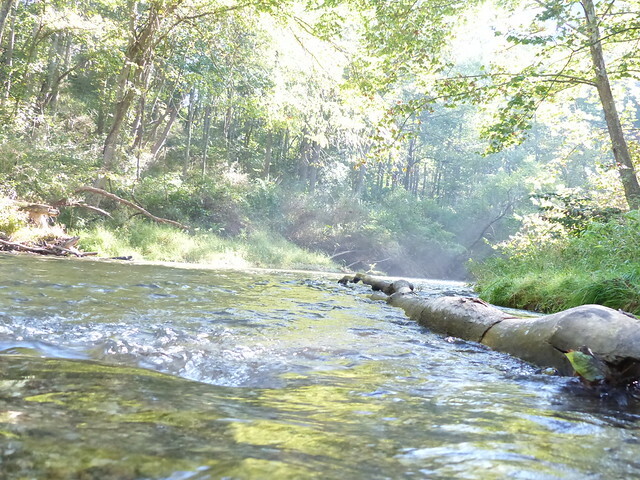 Try fishing the middle of the catch and release section for the most consistent hatches and easiest wading Streamer fishing through the log jams is always a good bet but is typically more productive on a dead drift in the boulder pools above Falls Rd. 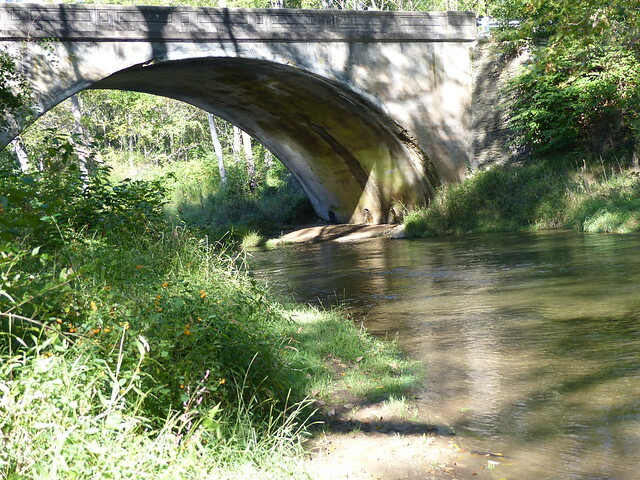 If you’re stuck on big dries from a recent rip out west, it’s not to late to use some western-style hopper patterns and stimulators-especially in the riffles.With water levels at least knee deep throughout the catch and release area and plenty of green leaves just turning gold and red, now is the time to get on the water and find a few wild fish. This entry was posted in fishing report on October 6, 2015 by Theaux Le Gardeur.